The Next HISD School Board meeting will be held on Thursday, October 12, 2017 at 5 pm. Extension to the Facilities Assessment Consultant Master Services Agreement with Rice and Gardner Consultants, Inc.
State election law requires that the Board approves of polling locations for the election of trustees. The Board previously approved a resolution ordering a general election for HISD Board of Education single-member districts I, V, VI, VII, and IX, and a special election for the unexpired term in a single-member district III to be administered on November 7, 2017. The district and Harris County have finalized proposed early voting locations and a partially complete list of polling locations. The Board needs to approve the Lone Star Governance constraint progress measures, and approval is required for compliance with Lone Star Governance requirements. The Board, in accordance with the TEA Lone Star Governance continuous improvement model and the Framework for School Board Development, adopted a monitoring calendar. This calendar describes the months that student outcome goals, constraints, and progress measures are reported to the board. The Board needs to approve the revisions to the calendar. The Board previously approved conducting self-evaluations using the TEA Implementation Integrity Instrument each quarter to be in compliance with the Lone Star Governance continuous improvement timeline. Approval of the second and third quarter self-evaluations is requested. The Board needs to approve the use of state and industry certifying agencies for students enrolled in Career and Technical Education (CTE) to gain industry and state-recognized certifications and licensures. All year 1 Improvement Required (IR) campuses are required to develop and submit the targeted elements section of the Chapter 11 Campus Improvement Plan (CIP). Targeted elements are part of the CIP that identify and address low areas of performance on the four state accountability indices. The Board needs to approve the targeted elements for Sharpstown HS, Attucks MS, Fondren ES, Looscan ES, Montgomery ES, Pugh ES, Stevens ES, and Victory Preparatory Academy K-8. All year 2 IR campuses are required to develop and submit a Targeted Improvement Plan that explains their approach to producing meaningful and sustainable gains in achievement and attaining a Met Standard rating. The Board needs to approve the Targeted Improvement Plans for Bonham ES, Gregory Lincoln Education Center, Madison HS, and Washington HS. 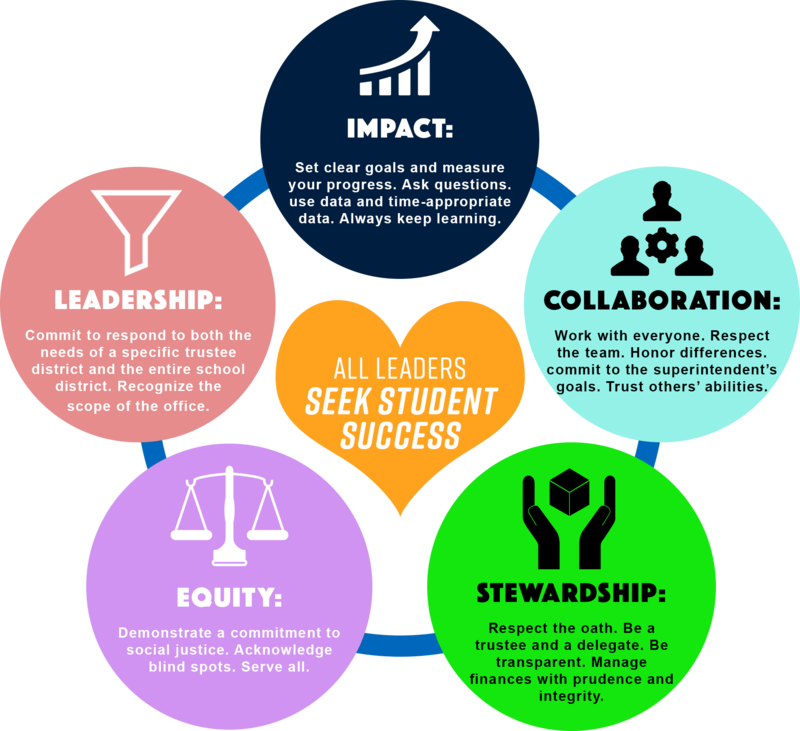 All year 3-8 IR campuses are required to develop and submit a Turnaround Implementation Plan that explains their approach to producing meaningful and sustainable gains in achievement and attaining a Met Standard rating. The Board needs to approve the Turnaround Implementation Plans for North Forest HS, Wheatley HS, Worthing HS, Cullen MS, Henry MS, Lawson MS, Blackshear ES, Dogan ES, Highland Heights ES, Hilliard ES, Mading ES, Wesley ES, Texas Connections Academy, and Woodson K-8. Kashmere HS has to submit a revised turnaround implementation plan to the TEA. This plan must align with and support Kashmere’s previously developed Turnaround Plan submitted in June 2016. HISD has a long-term agreement with the City of Houston (City) for the use of a land next to the former Buchanan Grimes ES for a City Park. The Board needs to authorize the superintendent to negotiate, execute, and amend a lease agreement with the City for this land. HISD conducts a facilities assessment every few years, and then update that assessment every few years. The current service agreement is with Rice and Gardner Consultants, Inc. (RGCI), and their service agreement is set to expire on October 31, 2017. It is recommended that the Board authorizes the superintendent to amend the original facilities assessment services agreement with RGCI to make sure there is no disturbance to the services it is currently providing, which now includes work due to the damage caused by Hurricane Harvey. List of donors: Port Terminal Railroad Association, HISD Foundation on behalf of multiple donors, HISD Foundation on behalf of Schlumberger. List of grantors: TEA, Qatar Foundation International, TEA Literacy Achievement Academy Teacher Stipends, TEA Reading to Learn Academy Teacher Stipends, TEA Mathematics Achievement Academy Teacher Stipends, U.S. Department of Health and Humanities Services CDC, Hanban and The College Board, Houston Endowment Inc., William Marsh Rice University. Hurricane Harvey caused HISD to replace, repair, and replenish district property and resources. So far, the district has been using 2017-2018 regular operational funds and needs to replace those funds and have funds available to continue work before insurance and other reimbursements are received. The Board needs to approve the resolution appropriating funds from the General Fund unassigned fund balance for Hurricane Harvey expenditures. The Simmons Foundation has approved a grant of $50,000 over 24 months for Las Americas Newcomer School, and the funds will be provided to and distributed through the HISD Foundation. The Kinder Foundation has approved a grant of $40,000 for two HISD teachers who are recipients of the Kinder Excellence in Teaching Award, and the funds will be provided to the HISD Foundation and issued to the teachers as stipends. Ecclesia Church has approved a grant of $100,000 (half for the Homeless Student Department and half for the Refugee Student Department), and the funds will be provided to and distributed through the HISD Foundation. The District of Innovation (DOI) gives traditional independent school districts access to several flexibilities available to open-enrollment charter schools. “The intention of the Houston Independent School District (HISD) is to explore flexibilities available through designation as a DOI regarding state requirements related to uniform start date and minimum minutes of instruction. The Board needs to approve the resolution to consider designation as DOI. The approval of a contract for conducting financial and operational audits included in the 2017 Audit Plan and Change in Principal audits were requested by the superintendent. KFORCE will provide six to eight staff members to support these audits. The CFO allocated $250,000 for the Office of Internal Audit to perform audits of the activity funds at the schools with principle changes, and $175,000 is allocated to KFORCE under the contract. The board is asked to establish a new policy (FCC(LOCAL), Student Welfare: Student Support Services) that includes philosophy and operation. Wanda Adams is recommended to be reappointed as the HISD member on the Harris County Appraisal District for a two-year term beginning January 1, 2018.